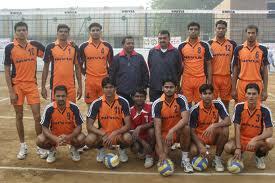 Uttar Pradesh retain their title and emerged champions in the 14th National youth volleyball championship in Men category held at the West Bengal Volleyball Association courts. Recovering from a set down, Uttar Pradesh quelled the challenge of Kerala 15-25, 25-20, 25-23, 25-21 in 95 minutes to retain the crown. The defending champion steadied itself in the second, using the double block to great effect. Combining some smart defensive work in the back-court, the UP players produced some telling smashes, especially its captain Nikhilesh Mishra and Saurabh Singh, who gave a harrowing time to the Kerala blockers. It took the second set and led throughout the third and fourth before winning the title with aplomb.